The chin separates the face from the neck, underlining the expressiveness of the triangle located between the eyebrows and the chin. This “magic triangle” plays a crucial role in the communication between humans. Depending on the severity, the chin emphasises the femininity or masculinity of a face. Most people consider a chin to be harmonious when it is about as far forward in profile as the base nose bridge – a bit less for the woman and a little further for the man. Seen from the front, the “golden section” plays a decisive role. The distance between the centre of the lips and the chin should be about two thirds of the distance between the middle of the lips and the nasal approach. In addition, of course, the expression of the chin over the neighbouring regions of importance. An accentuated chin gives the neck a profile, while a receding chin does the opposite. The relationship to the shape and size of the nose is also important. A fleeing chin can make the nose seem too big – the same applies vice versa. Temporary or permanent (very rare) persistent loss of sensation in the lower lip. Asymmetries that make a subsequent correction operation necessary. Infections. 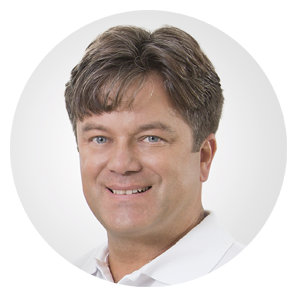 Dr. Muggenthaler has a special knowledge of skeletal disorders of facial harmony: In his training as a maxillofacial surgeon, Dr. Muggenthaler was involved in harmonising operations on the cranial skeleton. Orthodontic corrections were and are an important focus of his work. The valuable knowledge for harmony, good proportions and beauty gained over many years is applied by Dr. Muggenthaler consistently in the facial analysis. The aim of every treatment is the optimal balance between good looks and naturalness. What are the possibilities of a chin correction? Surgically, by a displacement of the bony chin (osteoplasty) or the insertion of an implant made of silicone, Goretex or hydroxalappatite. Minimally invasive by padding with hyaluronic acid injections or injection with other materials. Surgical chin plastic surgery can result in scars in the mouth or on the outer skin, but infections or nerve injuries with persistent sensory disturbance of the lip are also possible. Also asymmetries and noticeable unevenness can occur. After minimally invasive corrections, infections can also occur in rare cases. After osteoplasty, permanent results are possible. After injection treatment with hyaluronic acid, a result will rarely last longer than 12 months. We do not carry out injections with fillers that last longer because the risks would then be much greater. Can a chin that is too prominent be reduced in size? This is also possible. However, this always requires a displacement of the bony chin. Effort and risks are usually greater than with a chin enlargement. Does the chin correction also tighten the neck? To some extent this is possible. However, if there is a noticeable slackening or accumulation of fatty tissue in the neck, a neck lift is more effective. However, both methods can also be combined. 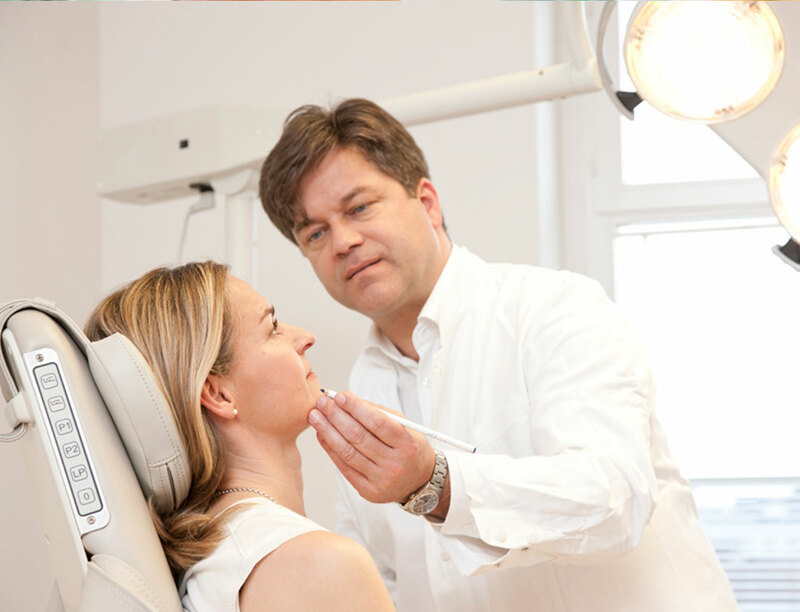 The most frequently asked questions about chin correction will be answered by Dr. Frank Muggenthaler on this page. Can’t find an answer to your question here? Then get in touch with us! We will answer all your questions, gladly in a personal consultation in our practice in Basel.